An interactive installation tends to be an installation in which the spectator directly participates in the narrative of the piece. But the spectator might also participate in the form in which this piece is shown. For example, in an interactive video installation, the viewer can decide which videos are projected or in which moment those videos are projected. A clear and easy-to-understand example with which to illustrate what an interactive installation consists of is the project we created for La Mercè Festival in Barcelona in 2016. In this project called “ReLoop”, spectators (though in this case it would be more appropriate to call them “participants”) decided what video content was projection mapped onto the facade of the Castell dels Tres Dragons [Castle of the Three Dragons], which housed the Museum of Zoology until 2010. Interactivity is always carried out by some kind of device (or devices) that enables interaction between a human being and that said device. 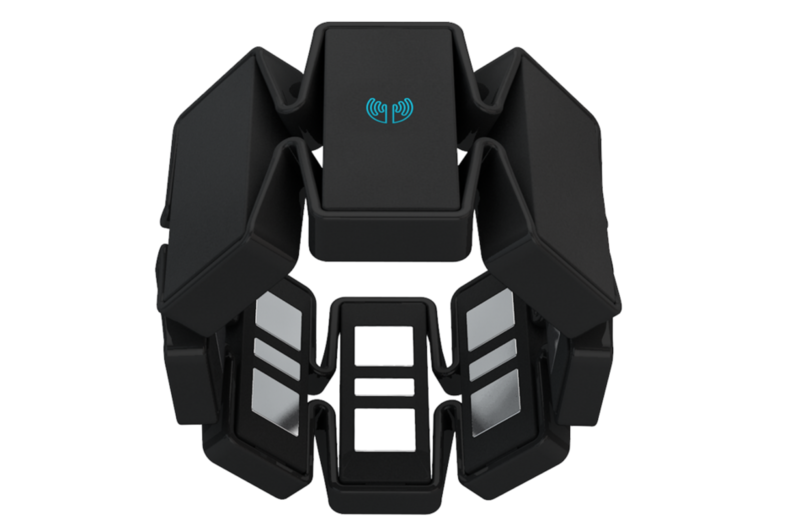 In this case, we used a Myo armband (see attached picture), a laser and a projector. With the armband, the participant activated different video loops, which, in turn, were accompanied by audio. The sum of the different audios ended up generating a musical composition. In this way, the participant in the interactive installation takes control of the content that is projected and played in front of other spectators. Another example of an interactive installation applied to set design is the work we did for EIF, Eristoff Interactive Festival. We set a LED display at the back of the stage and the content of this display was controlled by the spectators who, from their homes, interacted with the content that was projected, either because they tweeted messages related to the festival or because they themselves accessed a control panel that made it possible to project a series of images that added to the base content shown on the display.